4 Company has healthy Gross profit margin , well above 40%.Main cost for gross margin consideration is employee cost. 11 Business , Advantage and Quality of Management Company is into organized gym , fitness center industry.It has 8-10% share of organised fitness market.Its first gym was set up in 1932. Management has rich experience in this industry. Madhukar Talwalkar , Executive chairman has 50 years of experience has 50 years of experience in health and fitness industry. He has been the Founder President of Greater Bombay Body Builders. Prashant Talwalkar, Managing Director and CEO , has 25 years experience in marketing of health clubs. 3 Talwalkers has first movers advantage.It is the biggest player in this industry and has 130 gyms as of q2Fy13. Magagement is taking new measures to remain competive for e.g company has launched Hifi franchised model , it has launched ZUMBA fitness program. Company has partnered with Miha bodytec, german company, to launch Nuform in India.Nuform uses electric simulation to strengthen and tone muscles.It trains all muscles in 20 minutes , once a week. 2 Company is in expansion mode , it needs money to add stores.Average expenditure required to set up 1 gym is 2 crore.Company is adding more than 30 stores for past 2 years and it is adding more stores now. Company issues debentures worth 25 crores in fy12. 2 As mentioned above , company is in expansion mode so it needs to add debt every year to add more stores.Company is not able to fund expansion from earnings. 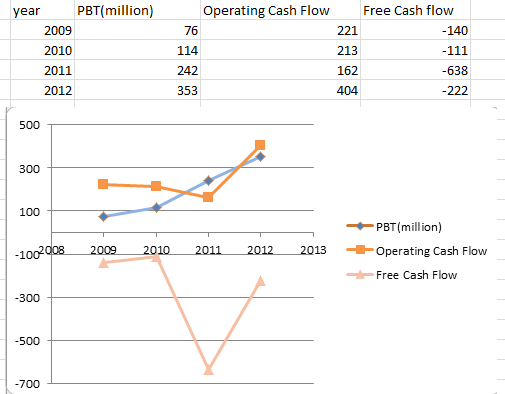 2 Operating cash flow is positive and is inline with net profit but free cash flow has been negative for last 4 years. It is due to adding of more gyms as well as investment in subsidiaries.Moreover all this expansion is done using lot of debt which is not so positive. 1 For the last 3 years ROE is around 13-18% which is low. Company is using lot of leverage to fund its expansion. Avoid companies with unrealistic P/E ratio , some companies may be operating at a P/E of 40-60 or even more.Market is assuming that these companies are going to grow at 40-60% per annum.In most cases , companies fail to deliver that much growth 19 P/E ratio As of december 2010 , stock has consolidated PE of 16.89 , which seems to be high of small cap company of market cap around 500 cr. 2 Company still needs to do lot of work to improve ROE and reduce debts.Once these 2 are improved then PE can be re-rated otherwise currently PE is not cheap. Internaly developed brand value is not mentioned as assets on balance sheet. We should look for companies which have good brand value.Asian Paints , Titan etc have brand value of thousands of crores due to which they enjoy leadership in their respective industries. Check if company has good brand value and other intangible assets 20 intangile assests , brand value and does a company have advantage over others Company has first mover advantage and it has got good brand value. It is now also issuing corporate membership. 4 First mover and good brand value is the advantage over other known players. Buying back Buying back shares is the simplest way a company can reward its investors.Due to buy back , outstanding number of shares get reduced which have positive impact on EPS. Buying back of shares also stabilizes the share price if it is on the fall for a while. 21 are insiders buying the stocks , is company buying back shares , are mfs holding this company Promoter holding is 59.47% as of Q2 fy13. No buy back of shares instead company is issuing more shares and more debentures to fund it s expansion. Impact of Industry parameters and Government policies Company is in expansion mode.Number of gyms have been increased from 30 in Fy07 to 130 in Q2 of Fy13.Its gym are present in 68 cities spread over 18 states.Company is still adding more company owned gyms as well as franchise based gyms 4 Company has introduced new strategy to expand in smaller cities.It has introduced new franchised based gyms under the brand HiFi.With no capex, only pure franchise income and a scope to open a large Talwalkar gym in future, HiFi business model shall enable the company to enter in smaller markets of India.Company has 8 Hifi gyms as of Q2 fy13. In this particular case lot of growth has already been factored.So now why do we think that this stock can go further? We should list all reason as in why we think market has not got the stock price right and why do we think that future market price would be better than current price which market is offering. 23 do you understand business , do you have edge in this industry,what do you know which market does not know Business it to provide fitness services. Company has 90 owned gyms, rest are owned by subsidiaries and franchises. It is the biggest player in India. We should analyze why a particular company is doing better than its competitors and why it will continue to do so. 24 Competition Talwalkars is the only listed comapany in this industry. Other players are either non listed domestic players or international players. Gold gym , international player, has 65 gyms in India as of 2012. For e.g Energy companies had their time in 90s .Telecom had their time from 2000- 2010 , now companies in telecom industry are in strong competition.Information Technology has almost seen its best part from 1995 to 2010 now the industry has become stable and is growing at 10-12% rate. We should have strong reasons to believe that the company will continue to grow in future and can mention all these factors in this section. 25 what company does ,your story on company , why do you think that company will become better than what it is today, or any other point Company is positioned well for the growth , it is growing at a fast rate adding more than 20 gyms per year. 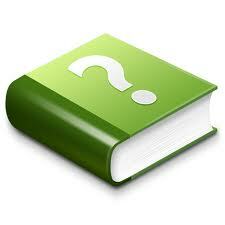 It has advantage of first mover and it is the biggest player in organized market. 2 We should wait before we invest in this company.Let it improve margins as well as ROA and ROE. Other important point is that revenue is increasing mainly due to addition of new gyms. If you see the attached table increase is revenue is just following increase in number of gyms.It reflects that revenue from existing gyms is not increasing which is not so positive. I have tried talwalkars gym in pune.It is a decent gym with good equipments and trainer.